Here at CSPA, we haven’t let the mixed weather get in the way of exercising during ‘Walk To School and Be Healthy Week’. It was lovely to see so many families walking to school and increasingly parking away from Penn Road, which is a great relief for our neighbours. Many children were coming to school with healthy packed lunches, including lots of fruit and vegetables in their diets. From the data that we have been gathering throughout the week, it will be interesting to see which class is the healthiest. I am pleased to say that we raised £206 on Groovy Shoesday and saw a good range of shoes, from shiny trainers to fluffy slippers, which the children loved wearing. Harri, from a company called Amaven, provided an action packed ‘Wellness Kickstart Day’ for Year 3 and 4, starting with a fantastic active assembly and continuing throughout the day showing all classes how to exercise inside the classroom by simply following the moves on some stimulating exercise videos. 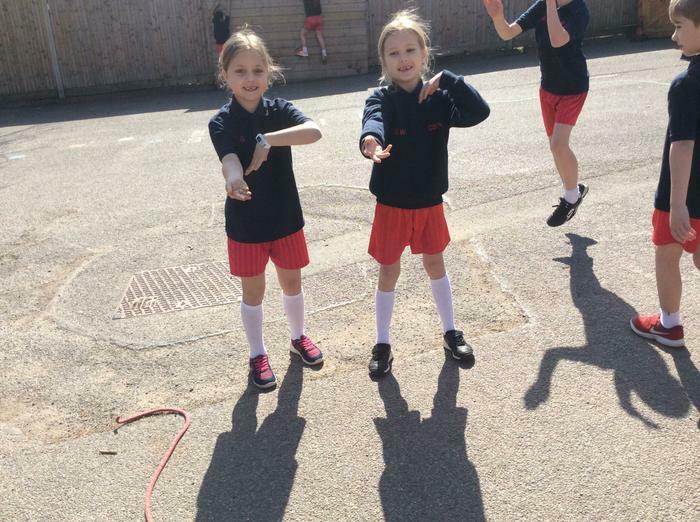 The children had a fun time experiencing a new style of exercising and all teachers will be able to use the videos on a free trial for the next couple of months. 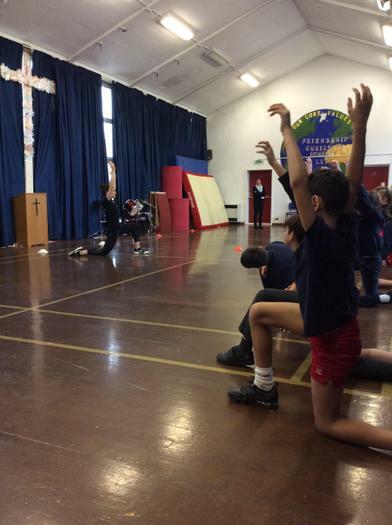 We would like to thank Frazer and Rachel from ‘The Fit House’, who came to exercise Year 5 and 6 with some fun challenges simply using tennis balls and cones in the hall. The children absolutely loved it! Leaflets promoting their fitness services for adults and children have been distributed (info@the fithouse.co.uk 07817107314). 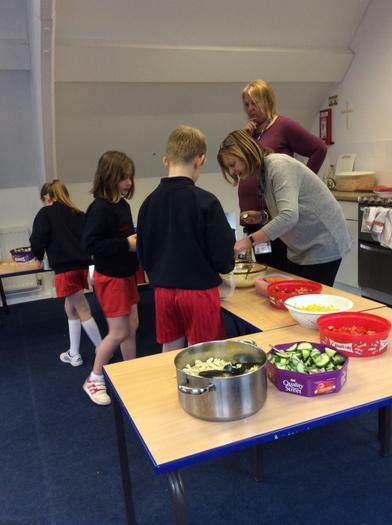 To promote healthy eating, The Co-Op were once again very generous, providing bananas, juice and summer berries for Year 5 to make their smoothies, fruit kebabs and fruit cups to raise money and ‘Save the UK Partridge’! As always, Year 3 were incredibly creative in their sandwich designs and Year 4 worked together as one big team to share healthy fruit and vegetables to make their own pasta salads, which they ate for their lunch. Many had never eaten it before and all tried something healthy in their salad. 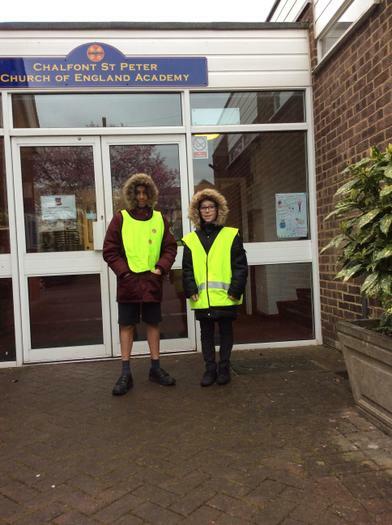 The real stars of the week were the Year 6 ‘Walk to School Week Officers’ who were up at the crack of dawn giving raffle tickets to walkers. 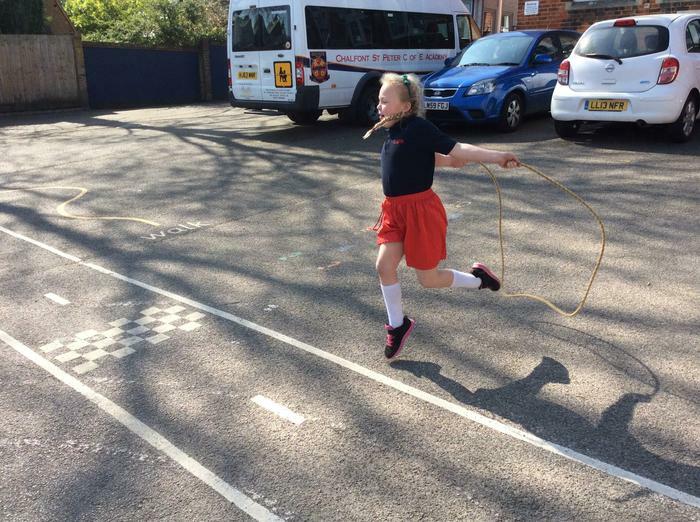 In particular Mahi, Amelie and Matilda G, who took the initiative of raising money for some new playground games. They presented their idea in the assembly on Monday and they have been seen all over the school organising many different challenges for children to enter at lunch times. They even inspired some Year 4 children to join forces and give their cake sale donations to this fund. We look forward to seeing what they order from the catalogue with the money raised! This has been a great week and many thanks go to everyone who has supported this week and helped to make it so successful, including our neighbours who have allowed us to play music at lunchtimes in the playground. 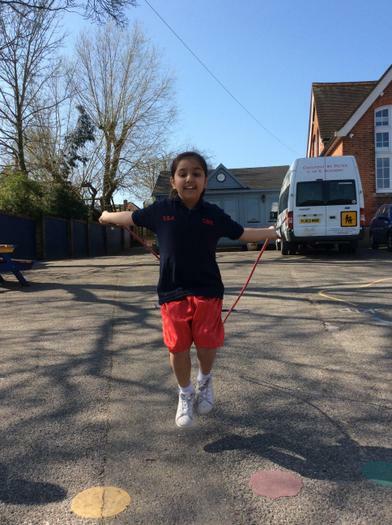 We sincerely hope that ‘Walk To School and Be Healthy Week’ inspires all children and their families to continue to keep fit and eat healthily as much as possible.